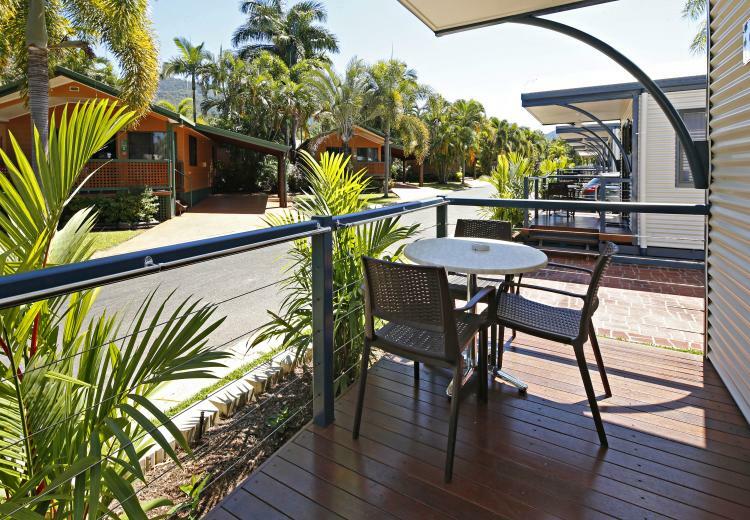 Our lovely Ensuite Cabins feature an open plan living area with dining table and couch and a lovely patio with outdoor seating. 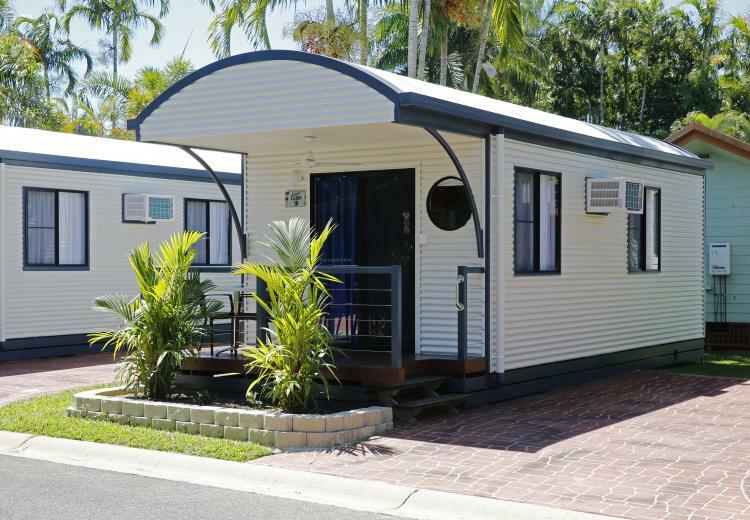 Bedding consists of a queen bed, full sized bunk beds and a pull out mattress with all linen and bath towels included. 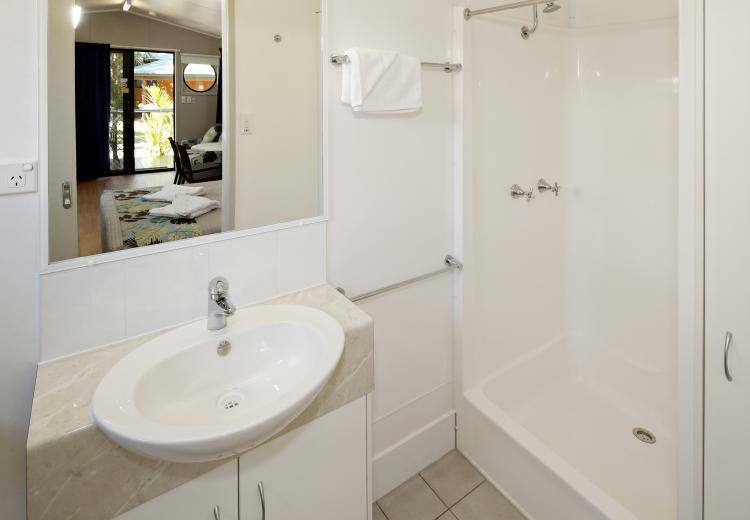 All ensuite cabins include an ensuite with shower, toilet and vanity. 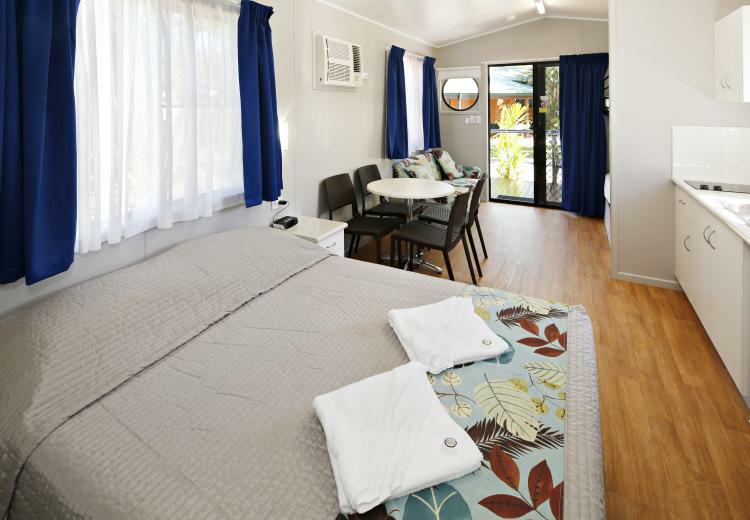 Facilities include microwave, hotplates, electric frypan, jug, toaster, bar fridge, airconditioning and digital television.Parking is beside your cabin. 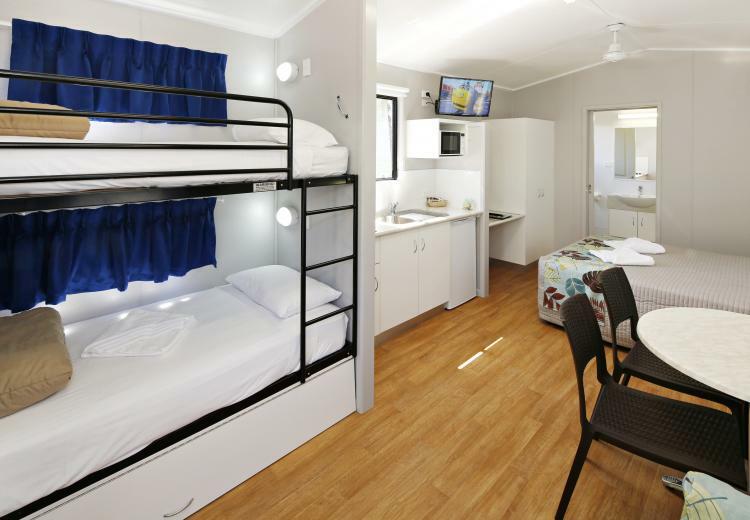 Please note: top bunks can only be used by persons 9 years of age or older. 30sq meters.